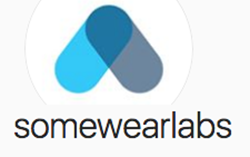 A Kickstarter endeavor by Somewear Labs is underway for a product called Somewear, which connects phones directly via satellite. This device connects to the Iridium satellite network to send and receive messages and operates anywhere on Earth, as long as the user can see the sky (the unit works best outdoors). Somewear leverages global satellite connectivity to send messages, locations, download maps, receive weather reports, and also send out an SOS signal in case of an emergency. The Somewear sits on the palm of your hand, tapping into satellite networks to broadcast messages. The unit has a $15 a month subscription model for 20 satellite messages per month and there is a $50 subscription fee for sending an unlimited number of messages). Location data can also be shared with other phones using the Somewear app. This product does not rely on comms towers and packs a battery that lasts for more than 1,000 messages on a single charge. 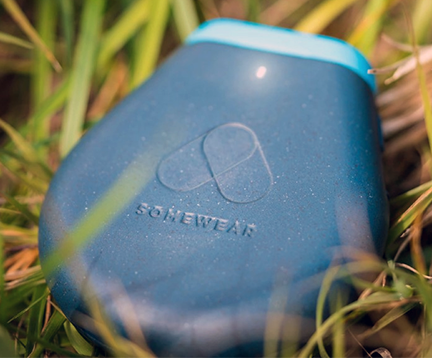 Somewear has an IPX7 waterproof rating, GPS and an SOS button powered by GEOS Worldwide. Article source: Yanko Design magazine.